As part of a new business strategy which will see the leading manufacturer of conservatory roof solutions branch out into other products for the home improvement arena, Ultraframe has launched a new composite windows division which has been specifically developed to provide an elegant product using slim profiles that are able to maximise natural light, as well as offer excellent life time value. We spoke to the managing director of this new business division, Sian Howitt, about the operation and its future plans. Hi Sian. Please can you tell us about Ultraframe Composites and why Ultraframe chose to move into this arena? As the market leader in the design and manufacture of conservatory roofing systems for almost 30 years, we have an ongoing commitment to research and development which has lead to the introduction of a whole host of innovative new light and space solutions. Furthermore, a new corporate strategy has seen us enhance our offering even further, transforming ourselves from a specialist conservatory roof manufacturer, to a company that provides a much wider portfolio of home improvement products including roof lights, bi fold doors, contemporary glazed extensions and orangeries. Doors and windows are such a key element of the home improvement package, and with our industry leading engineering and design capabilities, it seemed to be a natural next step for the business. Traditionally, windows in the UK were single-glazed and made from very slim timber sections. Following on from this, the next step was to then install PVC replacement windows and double glazing which resulted in frames getting much bigger and bulkier which often had a detrimental effect on the character of the home and let less light into the rooms. 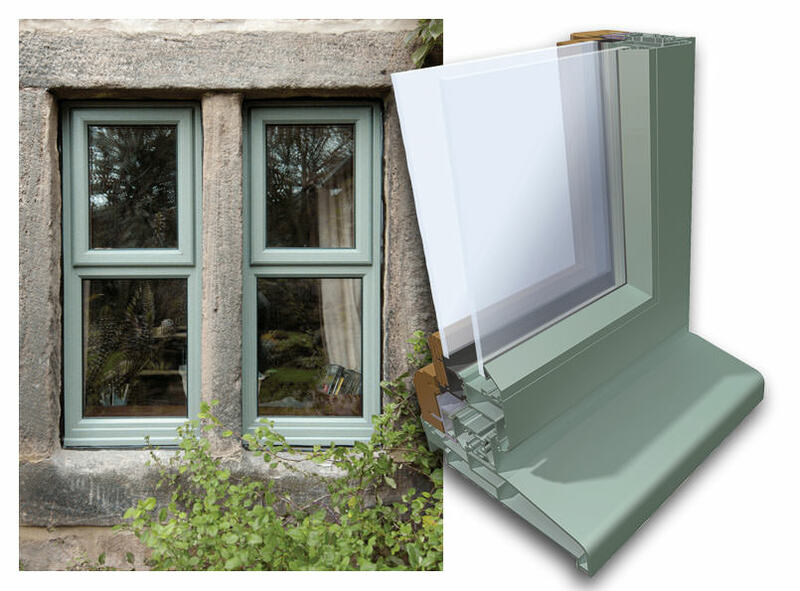 Composite windows offer the best of both worlds, slim exterior powder coated aluminium framing, combined with a PVC thermal break and ash hardwood inside, which together provide a dynamic aesthetic. We see the opportunity within the composite windows sector of the marketplace as a considerable one, not least because it gives retailers a healthy margin within this high-end bespoke marketplace. This is an opportunity to become involved in a growth market at the very early stages of development. And although there are more composites on the market it should be pointed out that some systems are constructed using mostly wood, with just a thin ‘foil’ of aluminium applied on top, which can leave windows vulnerable to the elements. The Ultraframe composite suite complements the styling and aesthetic of typical UK domestic architecture, yet due to its slimmer sightlines, also fits well within contemporary ‘Grand Design’ architecture. Can you tell us more about the range? Having acquired the manufacturing technology to build these high performance, aesthetically superior frames, we continued to invest through our renowned and extensive R&D team to create a new benchmark in composite door and window technology which we believe will redefine the composite market. The Ultraframe suite of composite doors and windows are made predominantly from powder coated aluminium, providing strength and durability where it’s needed most, externally and around the locks and hinges. 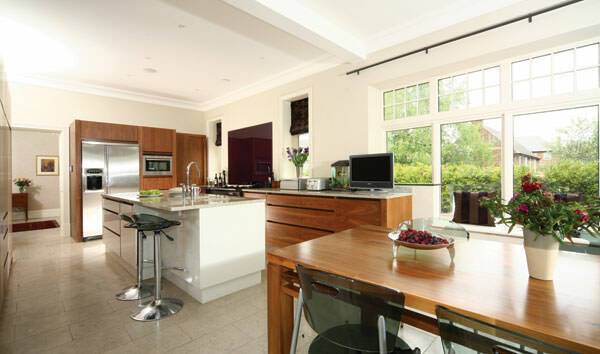 Our range is not only visually impressive, providing a real design statement that will make any home stand out from the crowd, but they are extremely durable and best of all, energy efficient. Our current system achieves Window Energy Ratings band 'B' or ‘C’ - and the R&D team are on the verge of gaining ‘A’ rated status. As you would expect, Ultraframe composite doors and windows are not stocked but are instead made to order for each and every aperture on each and every project. Choose from a virtually infinite RAL colour palette for the durable powder-coated coloured aluminium finishes outside and internally Ultraframe uses glorious ash hardwood which is available in a range of three natural finishes or it can be primed so the homeowner can choose their own finishing colour – this means that varying colours and finishes can be selected depending upon the rooms function and style. What are your plans for the future of this new business unit? We have recently recruited two new sales team members and also a technical administrator. Their collective task is to build a nationwide network of vetted and approved dealers. Through a presence at the National Self Build and Renovation Centre at Swindon, and through promotion to architects and even direct to consumers, the company is generating leads for existing dealers. Ultraframe is currently undertaking a search for additional dealers in various geographical regions to supplement the existing network. If you feel your company has a strong local brand, regularly promotes itself, has a showroom and has the ability to see high end products, it sounds like we should be talking. And finally - in the near future - we are planning another significant investment into the tooling to make manufacturing and fitting even simpler still – watch this space for more details. Anyone wishing to find out more about the any of Ultraframe’s product offering should visit www.ultraframe-conservatories.co.uk or call 0843 208 6975 to enquire about the composite window dealership opportunities.